So you have installed Google Analytics and now you are wondering… how do I use this ting? What do all these stats really mean? In the beginning Google Analytics can be a little intimidating. There are all kinds of stats and options and terms such as bounce rate. You may be thinking, I don’t have time to learn all of this now. However Google Analytics is very important to the success of your blog and business. Once you understand where your visitors are coming from, what they are reading, how they are finding your site and what is converting you will really be able to fine tune your site and online marketing strategy. 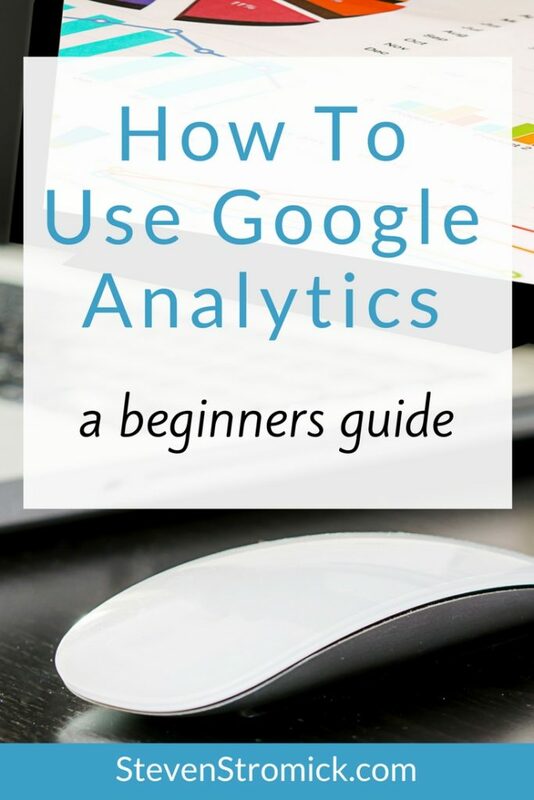 In this post I am going to make it simple and teach you the basics and what you need to know most to gain some insight from your Google Analytics. 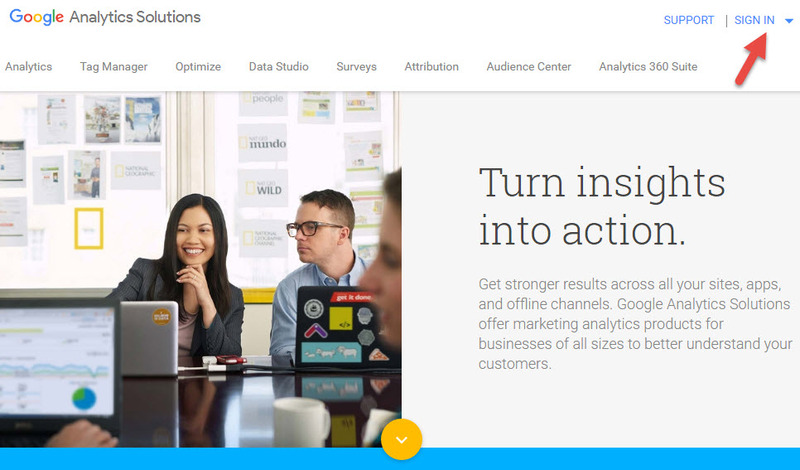 If you haven’t already installed Google Analytics on your site, you will need to start here. Click the Sign In link in the top, right corner of the page and select the Analytics option. After logging in, you will be taken to your Google Analytics dashboard. 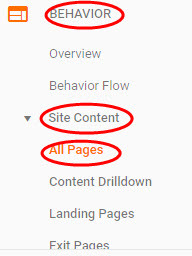 If you have more than one website in your analytics account, you can use the dropdown in the upper left to change your view to a different one of your sites. Your will see informations displayed in several different sections. First let’s take a look at the menu on the left. side. This shows you all the various areas of stats you can view. Here is a brief tour of what you will find in each section. Customization – Allows you to create custom dashboard views and reports. Real-time – This option displays what’s happening on your site at the current moment. 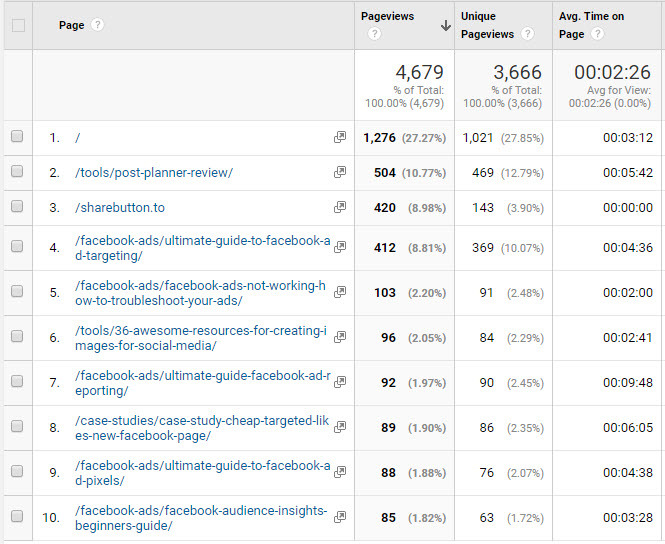 You can see how many people are on your site right now and what pages they are viewing and more. Audience – This option gives you an overview of who your audience is. Withing this section you can see where your visitors are from, what browsers they’re using, how many pages they view, etc. Acquisition – This option shows you where your audience is coming from. Behavior – This option shows you details on what people are doing on your site. Here you can find your most popular pages, check site speed data, and more. Conversions – Here you can set different conversion goals (i.e. email optin or sale) and track what is converting and how well. 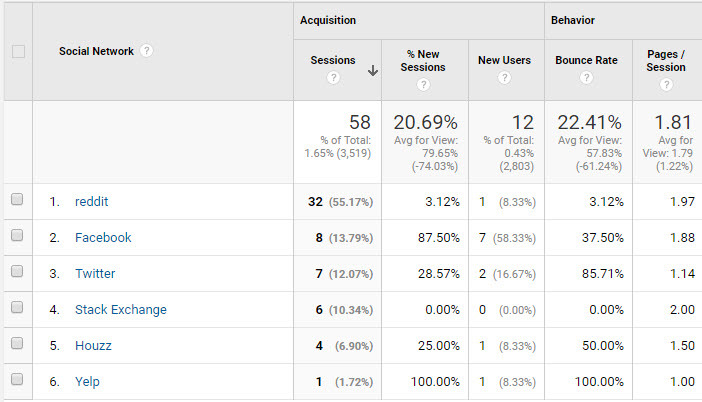 When you log into Google Analytics, you will first be taken to the Audience Overview section. The information here will give you a clear picture of what has been happening on your site. Sessions – A session is an active period of time during which a visitor is actively participating on your site. Users – The number of unique visitors that have been to your site. Pageviews – Total number of pages/posts viewed on your site. Every time someone loads one of your pages, it counts as a pageview. Bounce Rate – The percentage of single page visits your site receives. A high bounce rate percentage indicates most of the visitors your site receives are not sticking around and viewing other pages. A low bounce rate means that the majority of your visitors are viewing other pages on your site before leaving. Average Session Duration – The average length of time a visitor stays on your website. 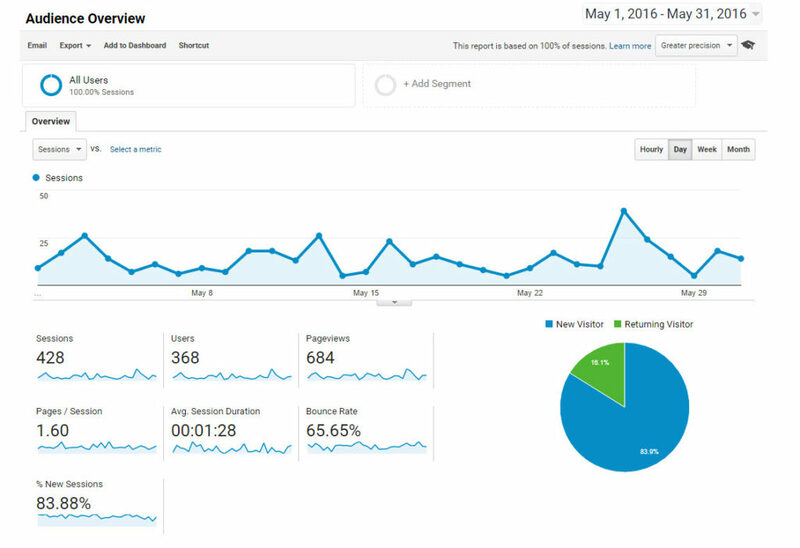 % New Sessions – An estimate of the amount of first time visits to your site. By default, the data you see in Google Analytics will be for the most recent 30 days, starting with yesterday. 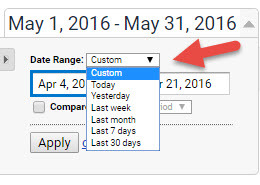 You can change this date range by clicking on the date dropdown in the upper right corner and then simply click on the first and last day you want in your desired time period. There are also common preset time periods you can access by clicking the Date Range dropdown box. Now that you know how much traffic your site is getting, the next step is to learn where those visitors are coming from. You can find this data under Acquisition. To access this data, from the left side menu click on Acquisition. A sub-menu will appear under Acquisition. Click on All Traffic to expand another sub-menu and click on Channels. Direct Traffic – This comes from people who directly type your sites URL into their browser or from those who have saved your site in their bookmarks. Organic Traffic – This comes from the search engines as a result your site coming up in the search engine results when someone is searching for something. Social Traffic – This comes from the social media sites (Facebook, YouTube, Pinterest, etc.) sending traffic to your site. Referral Traffic – This comes from other sites that have a link to your site. 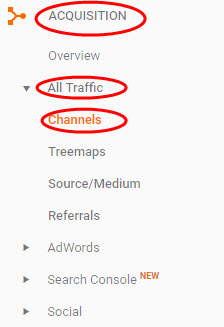 The aquisition report will show you a breakdown of traffic to your site broken down by these different channels. This view is going to show you from which source you are getting the majority of your traffic and which ones you may want to optimize more for. You can also click on the individual sources to get a further breakdown. For example clicking on social will show you the different social networks sending you traffic. Now that you know how much traffic your site is getting and where they are coming from, it is time to discover what are they reading on your site. Finding the most popular content on your blog is key to helping you not only monetize those posts but also will help you to know what to share more often on social media. 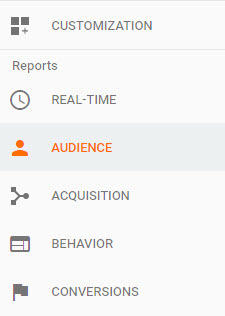 To find your most popular posts scroll down to Behavior section in the left side menu of your Google Analytics dashboard. Click on Behavior -> Site Content -> All Pages. From here you will see a list (from the most popular to the least) on the pages on your site based on page views. Comment below and share how you plan to start using Google Analytics. What do you hope to learn about your visitors from your analytics data?